A cloth emblem that belonged to the captain of the Church hunters long ago. Opens the main gate that leads to the round plaza of the Great Cathedral. The main gate is shut tight on nights of the hunt, and could only be opened from the other side with this emblem. In other words, the captain's return, and this emblem, determined the end of the hunt. 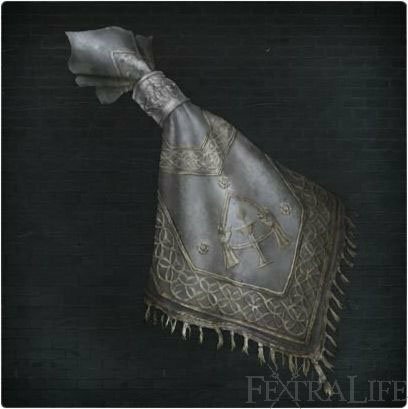 Hunter Chief Emblem is a Key Item in Bloodborne. 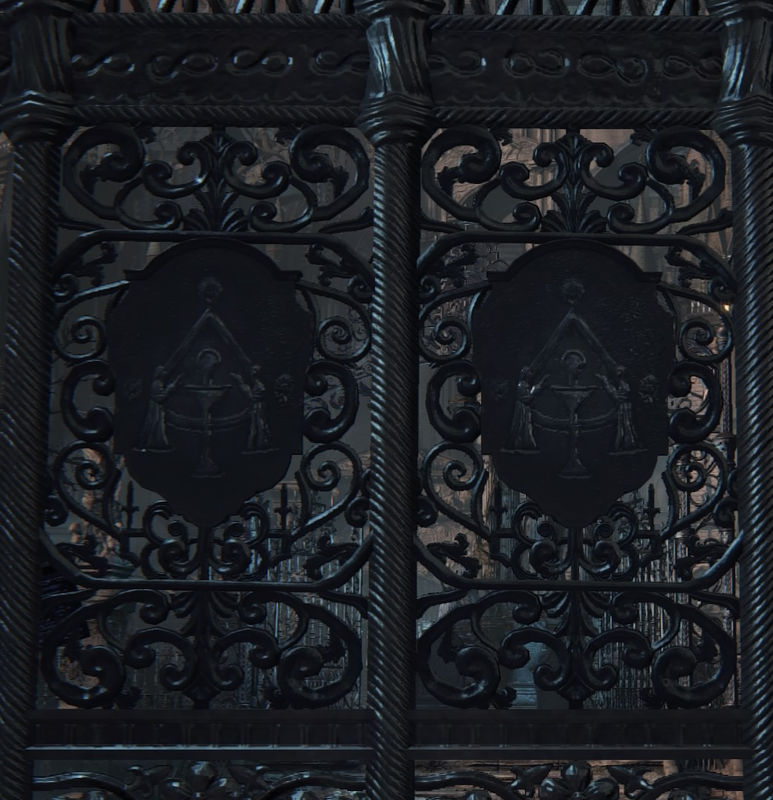 Used to open the main gate to boss at the Grand Cathedral (can be opened from the other side by dropping to the bottom of Healing Church and using an elevator). That is the locked gate up the stairs past the first Reaper. This emblems allows you to gain access to the area with Black Church Set. Sold by the Bath Messenger in Hunter's Dream for 10,000 after gaining the Sword Hunter Badge from defeating the Cleric Beast. This key is optional, but allows early access to the Grand Cathedral and Hemwick Charnel Lane. 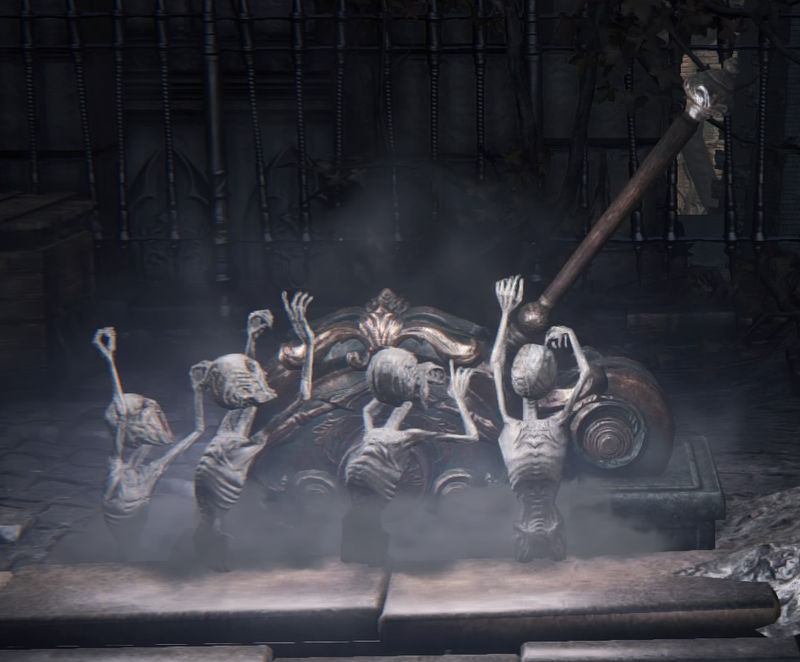 The alternative route is to kill the Blood-Starved Beast in Old Yharnam and a door will open up in the Oedon Chapel at Cathedral Ward, leading to the Healing Church Workshop. Descend to the bottom of the Healing Church Workshop tower and you will eventually find an elevator, among the streets below, that takes you to the Inner Cathedral Ward. The description tells that it once belonged to the Chief Hunter, probably Ludwig. I got the hunters chief emblem and used it to cover my chief. It makes one hell of a loincloth, I can now wipe as I run. I could&apos;ve sworn this thing was worth 20,000 not 10,000. Maybe I&apos;m remembering something from another Souls game. I attached this to the end of my sword and It was like whoooooosh. and then I killed a werewolf and got 7000 blood echos. The emblem isn&apos;t mandatory for Eileen or co-op. Kill BSB then open all three gates.